You know what they say, his treasure is her mess! Moving in together is a big step in any relationship, but it can also be tricky. Is his favorite, old chair clashing with your fuzzy throw pillows? Don’t panic. Just scroll down for some easy tips and suggestions on how to build a home as unique as your relationship! If you’ve reached the stage in your relationship where you feel ready to move in with your significant other then you should be able to tell them that their TV chair makes it seem like bear with a bad hair day has taken up residence in your living room, right? Absolutely! Just make sure that you are respectful about it. The worst thing you can do is to throw out the words “it’s ugly” because your partner could take that as a personal insult. Instead, use “I” statements. Rephrasing your thoughts into something like, “I don’t like it because I think it doesn’t work with the rest of the room” will drive your same point home while making it less confrontational. Keep in mind that your significant other might have different interests than you, and those interests will manifest themselves in your home life. If your partner would rather watch TV while you’d prefer to snuggle up with a good book, discuss ways in which you can both be happy. 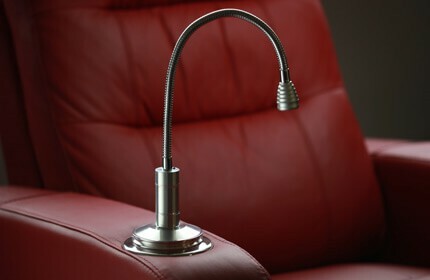 That might mean adding a reading light to your couch or dividing the space up so you can multitask separately. Whatever the solution might be, discussing your differences before they create conflict is a great way to making your transitions into one home go smoothly! Living with someone takes a little bit of patience and a whole lot of compromise, especially when deciding what stays and what goes. Here are some strategies that can help you navigate your way through it! First of all, decide on a number of items that each one of you are allowed to bring to the mix. This will help both you and your partner narrow everything down to the must-haves you can’t live without. Is your significant other set on displaying the ugly bookcase he bought with his first paycheck? Take a deep breath and let it be. You can take comfort in the fact that your prized collection of succulents will brighten it up! Next, tackle all the duplicates. If both of you have nice couches but there’s only room for one in the living room choose the one that best fits the space. In this case, bigger is definitely better! Don’t try and cram two people in furniture that was intended for one. In situations where you simply can’t decide whose furniture would be a better fit, sell both sets! Host a garage sale with everything you can’t agree on and whatever else you might not be taking with you to your new home. 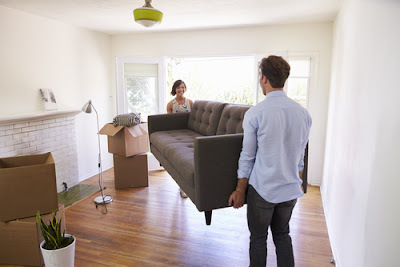 Use the money you receive to buy something more adaptable to the space (and that you both love). 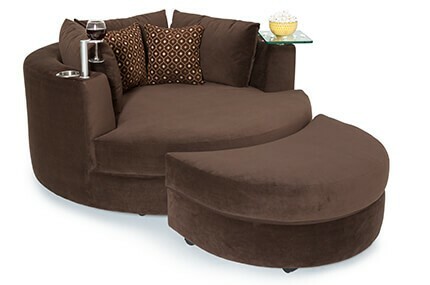 It can even be something that brings you closer together, like a cuddle couch tailored to couples such as yourselves. You can also choose to save the money from your combined garage sale to go on vacation! Moving in together can be stressful, and a small vacation is the perfect way to reconnect and remind yourselves of why you’ve chosen to take this step in your relationship. Or, if he’s a sports or gaming fanatic, splurge to find him the perfect chair or sectional for complete comfort! Looking for a chair and a chaise? Seatcraft offers an all-in-one option. Meet the Grenada. Complete with a chaiselounger footrest, lighted cupholders, and leather gel, he may not even look up as you explain you’re headed out on your 3rd shopping trip of the week. Maybe he’s more into the bells and whistles? You can’t do any better than the Seatcraft Equinox. With adjustable power lumbar, headrest, and recline, it’s love at first seat. If he wants a fully immersive movie and gaming experience, add the SoundShaker and he will see it, hear it, and feel it. The most important thing when moving in with together is to keep an open mind. Yes, it might feel overwhelming to find someplace to store his abundance of Star Wars figurines but remember that he might be feeling just as overwhelmed by the amount of hair you shed in the shower. It’s a give and take process, so give a little and take your relationship to a whole new level. You can do it!